To request a speaker to come and talk with your congregation for an appeal, dinner, morning tea or other gathering, please contact our Parish Liaison Officer on 02 8912 2777 or [email protected]. Mary MacKillop Today speakers will share with your parishioners the inspiring stories from our work in Timor-Leste, Peru, Papua New Guinea, Fiji, and Australia and how the lives of countless individuals, families and communities are being transformed through this work. 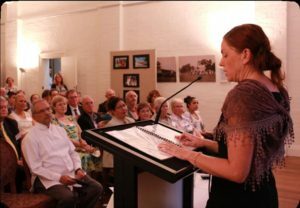 These stories highlight the spirit of Mary MacKillop, and remind us that real change is possible in our world. You can also support our annual Church Appeal by volunteering as a speaker on behalf of Mary MacKillop Today, sharing stories from your own experiences or showing Mary MacKillop Today’s Appeal DVD. We strongly believe that the parishioners of Australian churches need to hear the stories of our first Saint and the legacy of her work.